On November 28, the introduction by the PLOTINA project leader Prof Tullia Gallina Toschi from Alma Mater Studiorum – Università di Bologna was followed by two sessions; the first one was about the updating of the Library of Actions by Alison Rodger from the University of Warwick, and the second one about the Progress made so far in Management Activities, run by Ilaria Carbone from Alma Mater Studiorum – Università di Bologna. On November 29, Change Management was the main area of work. 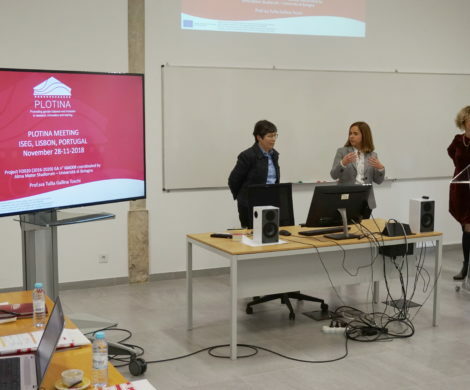 Firstly, Maria Mantini Satta from Progetto Donna e Diversity Management gave a presentation of the issue and led a workshop in which PLOTINA RPO partners talked about their GEP implementation phases, and made reflections on the results achieved and not achieved. After that, each RPO partner was asked to contribute one main recommendation to the meeting, and discuss with their peers about how they would implement the recommendation. 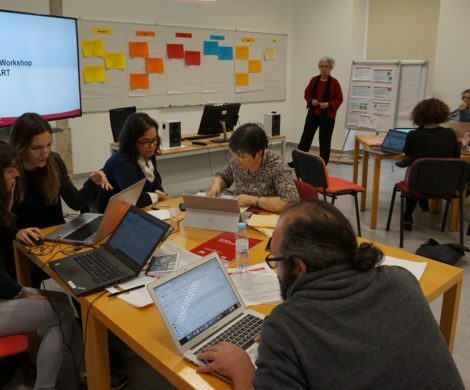 This process was accompanied by the PLOTINA consulting partners Maria Schwarz-Woelzl and Nela Salamon (Zentrum fuer Soziale Innovation GMBH –ZSI), Naiara Arri-Gartzia (Elhuyar Aholkularitza), Maria Mantini Satta (Progetto Donna e Diversity Management. 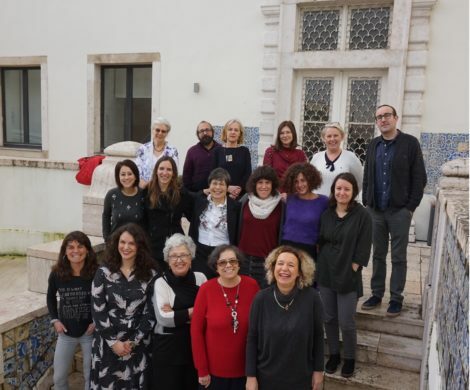 Finally, Maria Schwarz-Woelzl and Nela Salamon (Zentrum fuer Soziale Innovation GMBH –ZSI) presented the evaluation programme for 2019 and Naiara Arri-Gartzia (Elhuyar Aholkularitza) and Maria Mantini Satta (Progetto Donna e Diversity Management) ran a working session about the lessons learnt and new suggestions for the development of strategic plans for the next implementation measures. On November 30 Prof Tullia Gallina Toschi (Alma Mater Studiorum – Università di Bologna) led the presentation and discussion of case studies. After that, the Formative Toolkit contents and web presentation were made by Manex Urruzola-Arrate of the Elhuyar Fundazioa.